Posted by Sam Smith on Thursday, June 21st, 2012 at 6:20pm. 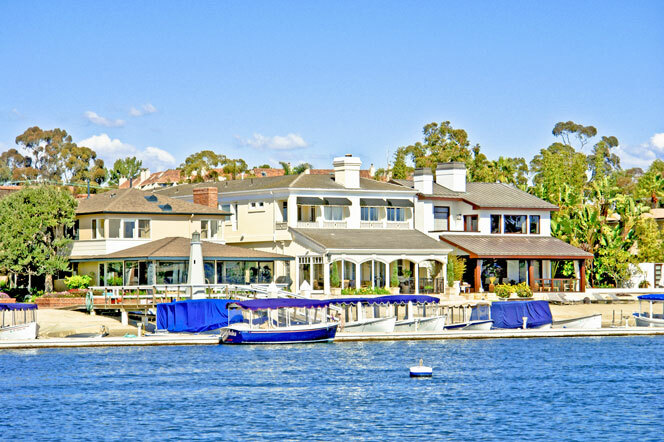 Bay Front properties are plentiful in Newport Beach especially if you have a budget up to $5 Million dollars. Locating the right community will be the key with this many choices. One of the more popular places to buy bay front homes in a gated community is the Linda Isle community. Linda Isle has a wide range of bay front properties as the main street in the community is in a "u" shape that wraps around the bay. Half of the homes will be on the interior of this u shape with direct water access out to the Bay and Pacific Ocean. Linda Isle also has bay front properties on the inside channel that face Pacific Coast Highway and Harbor Island Drive. Prices in Linda Isle will range from $2.5 to $24 million dollars with all homes having direct bay front views. For $5 Million dollars you can find a beautiful home in this 24 hour guard gated community. Another choice to consider the Promontory Bay area. Unlike Linda Isle, Promontory Bay is not behind a guard gate as these homes can be found off Harbor Island Drive. From this location you are just minutes to Fashion Island, Balboa Island and the sandy beach. The homes in Promontory Bay have direct bay front views in a prime Newport Beach location. For $5 Million dollars, you can buy a newer constructed 4,000 square foot plus home located directly on the water. In fact, prices in Promontory Bay start at just over $2.5 Million dollars. There are so many other great choices for bay front communities In Newport Beach that's it's best to jump in your car to view the different areas to see which neighborhood suits you best. Keep in mind many of these communities are guard gated so make sure to contact a local Realtor to assist you. We love showing bay front properties so please contact us today at 949-444-1901 to schedule a tour of these wonderful water front homes.